Mainstream fitness is “interesting” to say the least. While things are changing now with the influence of more functional forms of training, mainstream fitness has traditionally been some weird combination of bodybuilding and aerobic sports (e.g. marathon running). The result of this was the creation of many fitness rules which are still around today. The problem with “rules” in the world of training is that they are context-specific. What may be great rule for a general fitness beginner doing machine-based training can be totally inappropriate if you are an athlete or you are doing more advanced training to look and feel like an athlete. If this is you, here are 10 fitness rules you should break. Traditionally mainstream fitness programs started with 5-10 minutes of mind-numbing cardio. You would sit on an exercise bike and pedal for 5 minutes and then be ready to bench press? I quit doing steady-state cardio for warm-ups about 10 years ago – both for myself and for my clients and athletes and we have been fine. I have found that it was much more beneficial and time-efficient to take 5-10 minutes as a preparatory phase and do things like: foam rolling, dynamic mobility, corrective exercise, activation drills, patterning and nervous system potentiation. After this, I felt warm and had elevated core temperature (which are the only 2 things you get from 5-10 minutes of cardio) but in the same time I got a lot more important things done. For more information, check out my YouTube channel playlist on warm-up, mobility and corrective exercises. Somewhere along the line we were told that lifting weights slow was good form and fast was bad form. Now, if you are a beginner, you should lift slow and controlled while learning the motion. Also, certain injuries or health conditions may make fast movements inappropriate. However, healthy individuals past the beginner phase should focus on accelerating the weight up (with fantastic form) and lowering under control. Note: with heavy weights, the weight might not actually look like it is being moved fast, but the attempt is to lift it fast. Nothing in real-life (minus slow-motion replays in sports) happens in slow motion. Faster lifting speeds improve sport performance and real-life function. It also helps to active your fast twitch fibers which have the greatest potential for size and strength gains – and are the most energy inefficient (i.e. they use more calories – a great thing for fat loss!). If you are doing a leg press, locking your knees out is a bad idea. Also, the idea of not locking joints out is also a great idea for individuals who have hypermobility (i.e. too much movement) in certain joints. However, it is a bad idea to make this a blanket rule. For example that is a great idea to lock out the hip joint. 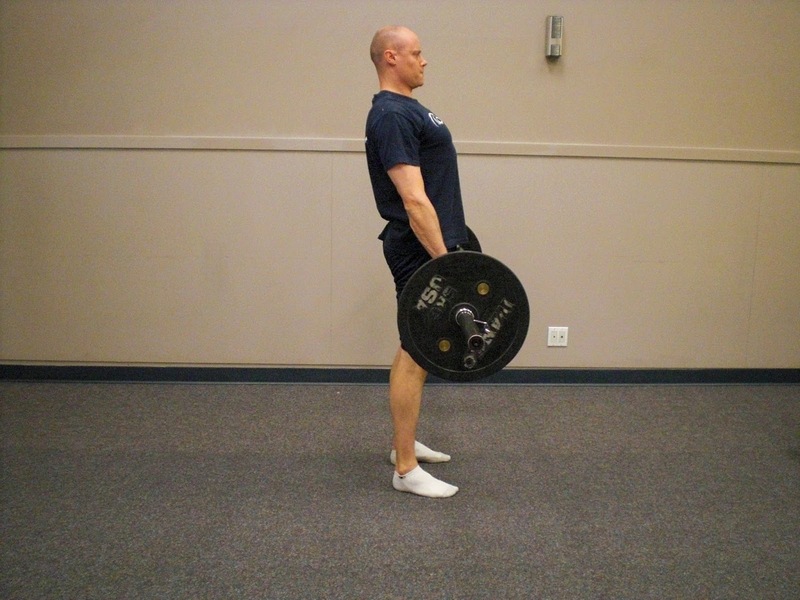 Proper, complete hip extension on deadlift variations is a wonderful way to effectively train the glutes and promote proper function (clickHERE for more details). 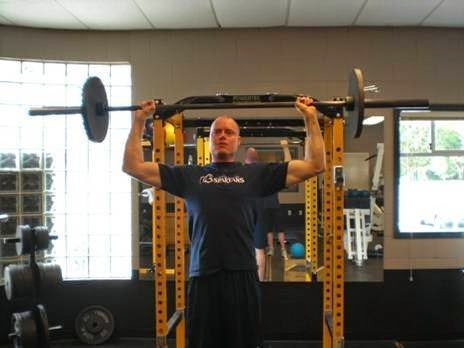 Also, the standing barbell press (unless you have hypermobility in your elbows) builds tremendous shoulder and core stability when paused in lockout at the top of each rep.
For the elderly and those with health conditions, breath holding can spike blood pressure and may be dangerous during lifting. Therefore, there is merit to this – again in certain contexts. However, for young, healthy individuals training for performance, it is dangerous not to hold your breath. Breath holding is a natural pattern that increases pressure in the abdomen and can help enhance trunk stability. Therefore, with big exercises such as squats, Olympic lifts, deadlifts and standing presses, it is safest to breathe between reps. Yes, this will result in very short, but intense spikes to one’s blood pressure, but this not a big deal for a young, healthy individual. Also, the risk of injury when not holding your breathe is far greater in this context. The spine is designed with natural curves in it. If you keep these curves, the spine will be in its strongest, safest position. A particularly vulnerable spot on the spine when lifting is the low back. Always seek to have a slight arch (note: too much is also not a good idea) in the low back when lifting. Even if you are bench pressing, do not try to flatten the low back. Rather, maintain a gentle arch and focus on lifting the chest up. fails to build full range strength. Strength gaps: you only build strength in range you train – what if life or sport needs that range that you don’t train in? Less muscles used: with upper body pressing exercises, the torso muscles (e.g. shoulders, pecs) are used more from the bottom to half way, then the triceps do more of the work from halfway up to lockout. With squats, it is the bottom position that really works the hip muscles and provides the hamstring tension to protect the knee. More joint stress over time: stopping midway (especially with squats) may seem like a safe idea for the first few sessions, but long-run it can actually be harder on the joints to stop midway and reverse the movement. Also, half reps allow for more weight which means more stress on your joints without better results. Decreased performance: with squats, stopping at 90 degrees means you only train in the top part of the motion. This is the easy part because the body is very mechanically efficient during the top part of a squat. As a result, you can pile big weights on without effectively challenging the muscles. Fuller range of motion squats allow less weight to be used and more work for the muscles thus resulting in stronger legs and improved performance. With performance training, you want to pick the best exercises to get you to your goals and get better at them. This is pretty hard to do if you are constantly switching things up. 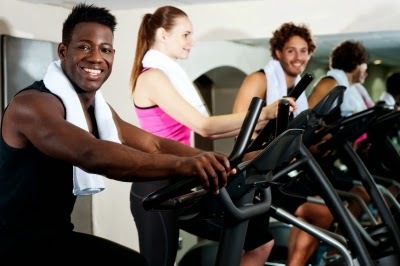 Mainstream fitness loves the constant switching because it makes workouts fun and exciting and always leaves you sore. It also helps distract people from the fact that they are often not making any progress. For more info on this, click HERE. What does the burn mean? Does it mean you are burning fat? The burn simply means you are training in a way that the body burns sugar without oxygen and thus produces lactic acid (which causes the burn) faster than it can be removed. People love this because it makes them feel like they are really working hard. This burning sensation isnecessary when doing higher rep bodybuilding and endurance work. However, if you are doing strength, speed or power training, feeling the burn means you are doing it wrong. Also, lactic acid training impairs recovery. While it is true that heavy weights are necessary to build size, light weights are only useful for beginners – to get them ready to lift slightly less-light weights the next time. High reps with light weights are a waste of time. Heavy weights not only build size, but also build strength and are great for toning. A better way of saying it would be: heavy weights with moderate to high volume (e.g. 5 sets of 5 reps) with lots of food for bulk and heavy weights with low volume (e.g. 2 sets of 5) and less food for tone. Click HERE for more information. While working out is about getting tired and sweaty, training is about getting better at your goal. I love Coach Dan John’s insight into this as he says, “any idiot can make someone tired. Go do 10,000 jumping jacks and you will be tired.” It is not about getting tired – it is about getting better! Always remember with training, there are no hard-fast rules. What is totally appropriate in one context may be totally inappropriate in another context. Let your training goals and not some old fitness rule dictate how you train.